You must have heard before that your choice of greenhouse glazing is as good as its warranty. This is, by all means, true. It is not difficult to understand why. When it comes to greenhouse coverings, things such as lifespan, fire resistance, light diffusion, weight and strength matter a lot. 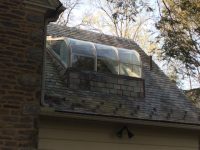 Consider all these factors and your choice always boils down to either glass or plastic, the two most popular greenhouse materials. But which of these two is ideal? Is there anything else you should know apart from the perks that come along with these two materials? Read on to find out. Glass comes along with so many perks it is easy for one to think it is the best option. This is of course, not true. There are quite a number of downsides that glass comes along. The bigger picture though boils down to how efficient glass is compared to all the other greenhouse materials available. It is recyclable, does not easily scratch and conserves energy. On the flipside, glass creates shadows and hardly diffuses light. This should not discourage you from investing in greenhouse structures made of glass. There are now glass options treated with frost like properties designed to diffuse light. Remember that greenhouse technology is always advancing. It therefore does not come as a surprise that there are now glass materials that feature argon filled air spaces, low-e and heat mirrors. 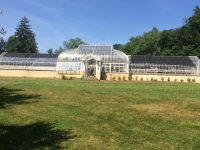 The effects of these new innovations in glass technology as far as greenhouses are concerned have not been fully utilized. One thing’s for sure though. In the near future, glass will most likely be the most reliable material when it comes to greenhouse farming. 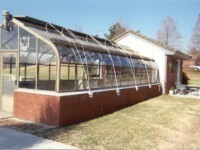 Greenhouse plastics feature different properties. They all have one thing in common though – lifespan. The average greenhouse plastic structure lasts for up to 3 years before warranting replacement. Your best bet is to find one that can last for longer but can also withstand harsh weather conditions such as severe icing, hurricanes, hail and heavy rain. It is also important to always find installation experts to put up the structures for you. Polythene, copolymer and polyvinyl are some of the most common plastic options available. Of these three, polycarbonate stands out as the most popular. It comes in single, double and triple layers for optimum energy efficiency. As most greenhouse specialists will point out, the thicker the layer, the better the insulation. It is important to note that while multiple layers can always make it easy for plants to grow due to the level of insulation involved, the same perk can also take a toll on your plants. It can easily disturb condensation in the interior channels. Temperature changes will always affect the health of your plans whether you go for polythene or plastic. That is why temperature control systems are always recommended especially when you plan to be a four-season planter. 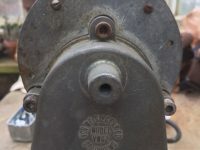 You may have to consider features such as roll up side components or even a galvanized angle wall fan. Familiarize yourself with greenhouse lingo as much as you can. 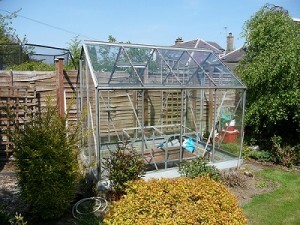 Be keen on the ‘R’ value of the greenhouse material you wish to purchase. The term is commonly used to measure a material’s insulating or energy conserving properties. With that in mind, take time to first check on a given R value of a product before buying. Be keen on other greenhouse attributes when evaluating your greenhouse covering options. These include factors such as how durable a material is, the cost of installation and maintenance. Then always keep in mind that when it comes to energy conservation, the more energy your desired material conserves, the higher its R-value.